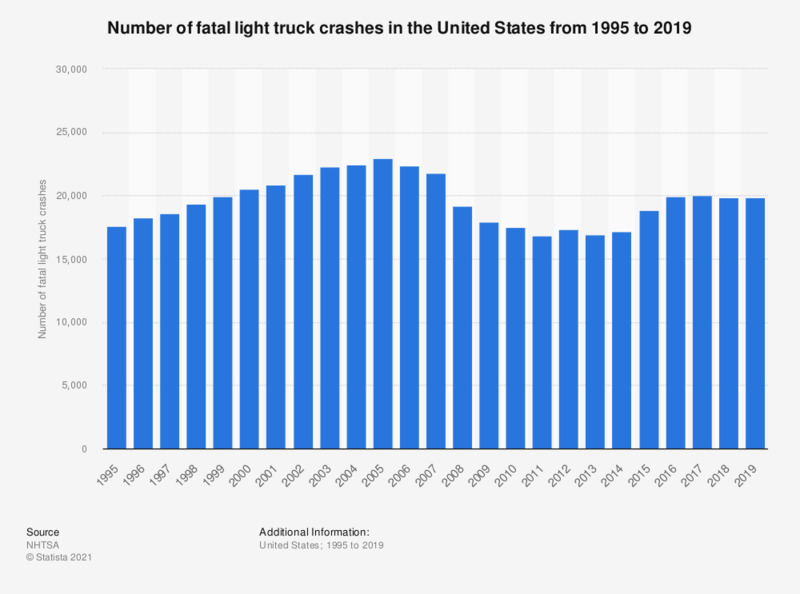 This statistic represents the number of fatal light truck crashes in the United States from 1991 through 2016. In 2016, there were about 20,000 fatal light truck crashes, up from about 18,700 in 2015. Select "Table 36" in the corresponding link.